This Ergonomic Kids Desk and Chair Set has been designed to help children adopt proper posture when seated. Sturdy and safe structure with fun colours make it the perfect addition to any child's room. 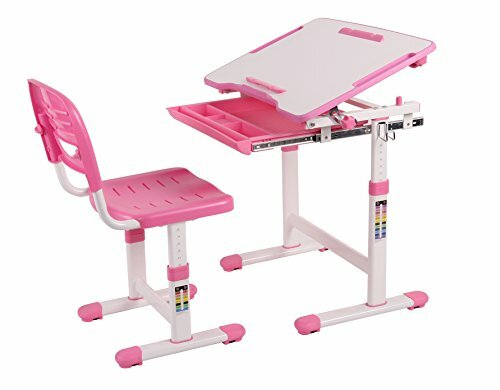 The desk features a spacious drawer and the desktop can be lifted up to give your child a comfortable slanted surface for writing and drawing. The adjustable features allow it to grow with your child. If you have any questions about this product by Wymo Kidz, contact us by completing and submitting the form below. If you are looking for a specif part number, please include it with your message.